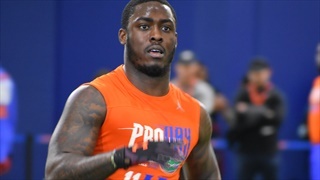 The Gators had 17 players work out for NFL coaches and scouts in the annual Pro Day. 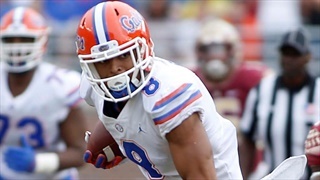 Inside the Gators recaps the event. 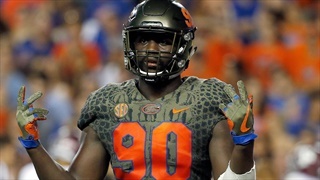 With the help of National Football Post draft analyst Dion Caputi Inside the Gators takes a closer look at how the eight former Florida football players performed at the NFL Combine and where they project to be taken in the draft. 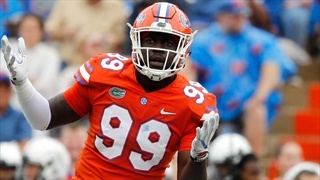 As expected, Florida junior defensive end Jachai Polite has decided to make himself available for the NFL Draft. 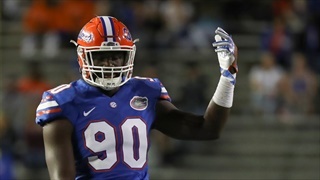 There are several draft eligible juniors on the No. 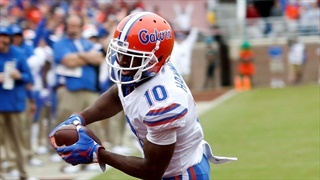 10 Florida Gators team. 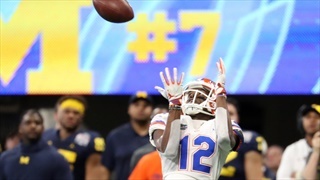 Following the Gators 41-15 over Michigan in the Chick-Fil-A Peach Bowl, Inside the Gators was able to catch up with five of them to find out where they’re leaning in their decision. 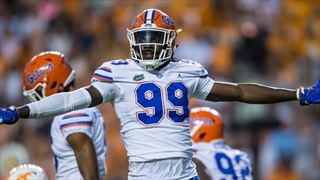 Florida defensive end Jachai Polite is draft eligible as a junior and has been projected to go in the 1st round by many mock drafts. 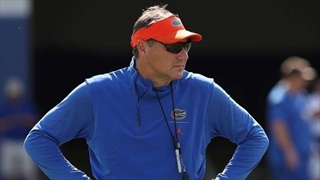 However, he swears he hasn’t made up his mind yet as to whether he will go or stay. 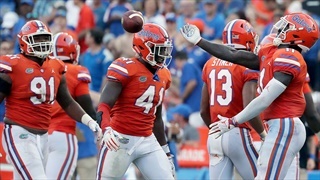 While one current Florida football player - Chauncey Gardner-Johnson - has declared for early entry for the NFL Draft, Dan Mullen said Friday that he expects that at least one more is sure to do so, without giving away who it is. 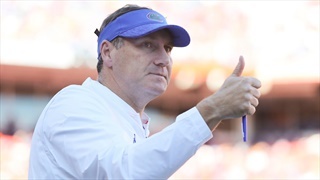 Head coach Dan Mullen met with media today to officially kick off their Chick-fil-A Peach Bowl practice coverage. The highlights are as follows. 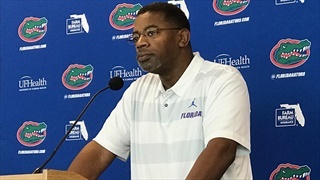 Five former Florida football players share their thoughts on the Florida-Florida State game, Dan Mullen and the direction of the football program. 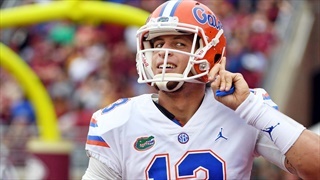 Inside the Gators takes a look at Florida Football with three observations, two questions and one prediction. The No. 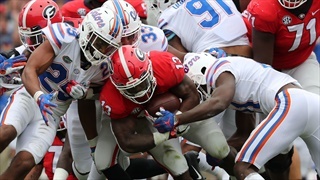 11 Florida Gators broke a five-year curse and defeated in-state rival Florida State 41-14 on a dreary day in the state capital. 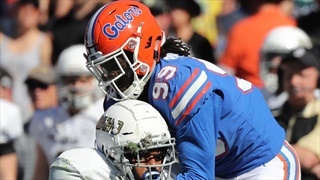 The Sunshine State Showdown victory puts the Gators in great position to make a New Years six bowl game. 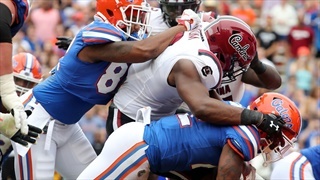 It also breaks a 36-year bowl streak for the Seminoles. 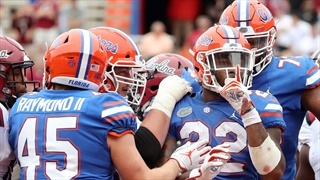 Inside the Gators takes a look back at Florida's win over South Carolina and the Gators upcoming game against Idaho with three observations, two questions and one prediction.